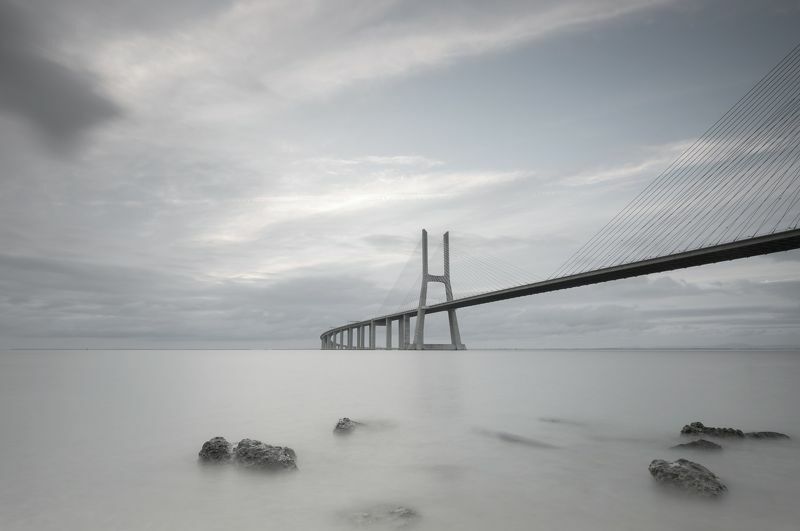 Ponte Vasco da Game, one of the most photographed bridge in Lisbon and is the longest in Europe, and for me, is one of my favorite places to relax in early mornings. I love the contrast between the hard concrete and the softness of the water. 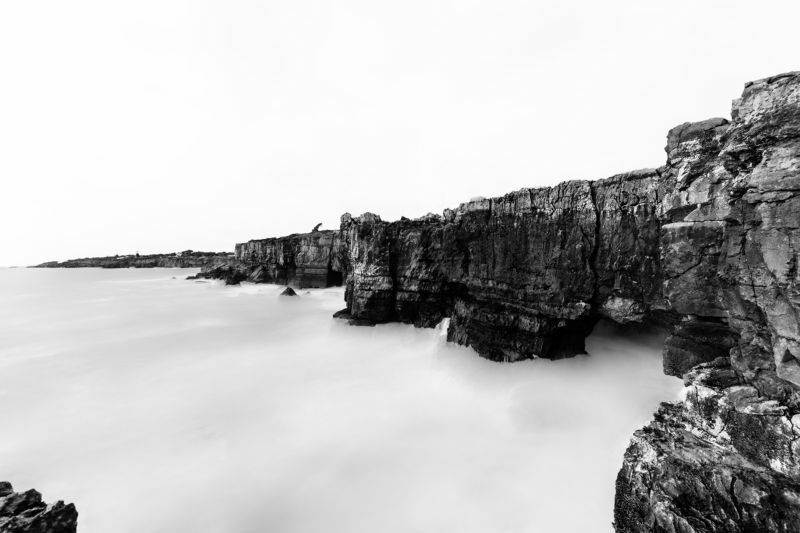 Photo taken on the Cascais shore line, in the place called the Boca do Inferno, (Hell`s mouth). Long exposure that allowed in post production to give this ethereal effect, from someone who sank and seeks asylum in the worst place for that..